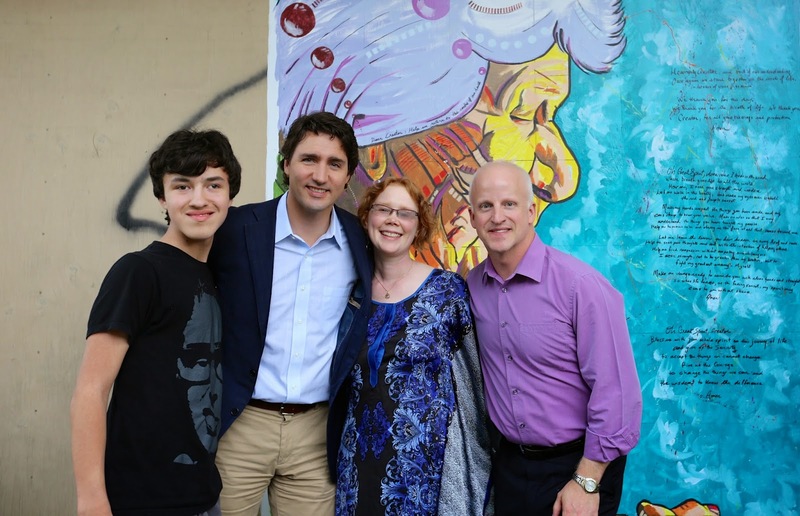 I've had two brief encounters with Justin Trudeau, both of which left a profound impression. 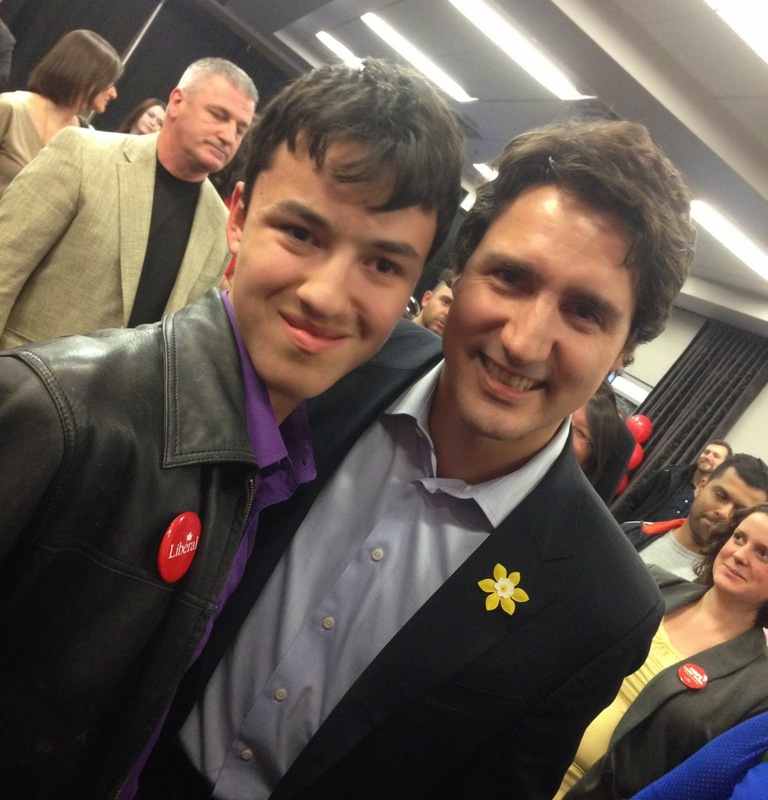 The first, was during a rally for my friend and Liberal candidate Kyle Harrietha. Dylan and I stood in a long line of supporters to say hello and make a brief connection. I focused on capturing the moment and observed as the national leader engaged with my 15-year-old son in an authentic way. He was pulled way for a minute or two, at which point he turned back. "Dylan, where were we?" In the middle of meeting hundreds of people and being constantly distracted, he remembered Dylan's name. The significance of that moment was not lost on me. 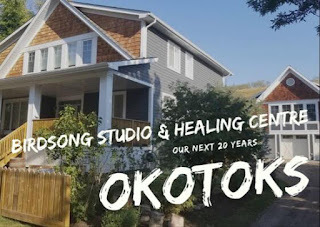 The second occasion was when he popped by the house a few weeks later to get his selfie with Elsie, the mural of esteemed Metis elder that I'd painted on our shed. He arrived with his photographer, a few minutes after Kyle, who had come on his own. We strolled to the back alley where he carefully took in the portraits and the prayers scribed onto the piece. "Oh my goodness," he said. "This is the First Nation prayer I said aloud at my brother's funeral." I knew very little about Justin Trudeau before these brief exchanges, only that he was the young and ambitious leader of the Liberal Party of Canada, and the son of our former and late Prime Minister. 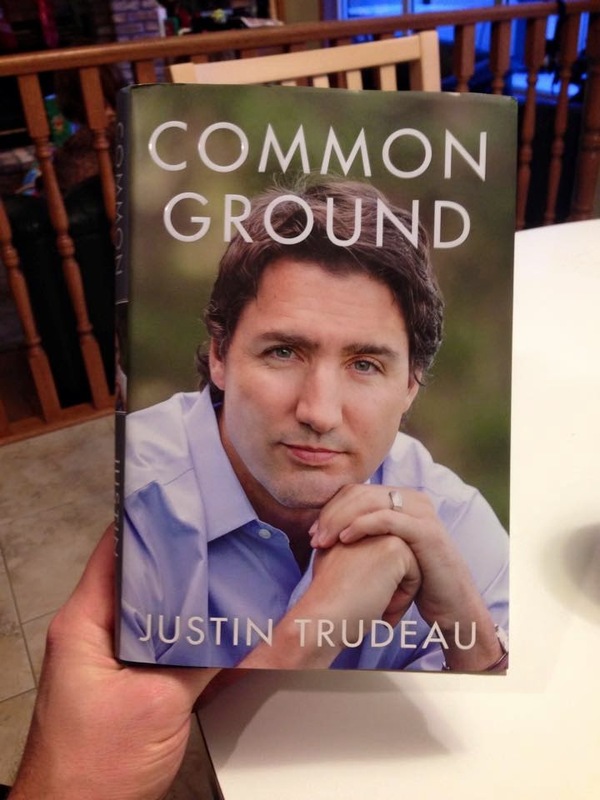 Reading his autobiography, Common Ground, has strengthened and deepened a positive impression. Justin is a few years young than I. He was born in 1971; I arrived in 1967. But we are of a similar generation and I could easily relate to his political and personal journey. I appreciate his courage in writing openly, though carefully, about an imperfect life. Though I had no pen or highlighter handy, I felt the need to mark up the pages, as there were several moments, or observations that resonated strongly with me. My heart ached as I read about the death of his brother Michel, and recalled the moment he connected to that memory via the prayer on the mural. I'm appreciating this holiday read a lot, more so because I've actually met the man. In a small sense, it reminds me of my strange habit to only read about travel destinations after I've been to them. All of a sudden, the words, images and stories jump off the page in a completely different way. I'm having a similar experience with Common Ground.